In Swahili, polepole means slowly, gently, softly, quietly; be calm, take it quietly, don’t excite yourself! 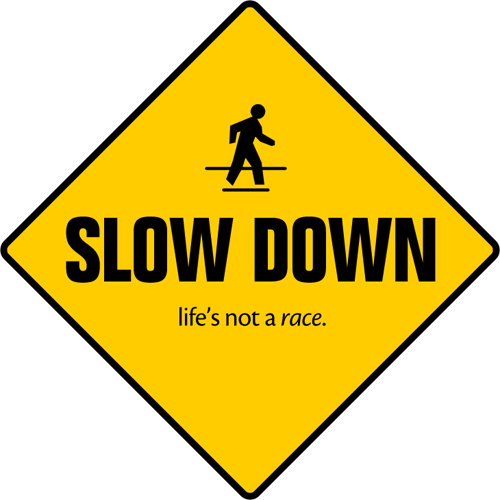 It’s a good way to remember to slow down. Polepole! To hurry through Life means to ruin your present while trying to get rid of a past that’s over and attain a future, whose form you really can’t predict. Slowing down does not mean you give up doing you many things that you have to do. It means to stay mindful, be present in whatever you are experiencing just now. The frenetic pace of today’s world is a make-believe. It is a deceitful way of kidding yourself. When you say you are too busy, when you say you have no time for yourself, when you say you are chasing your tail, it really means, you are giving excuses. The reality is that you are planning your day, your week and month badly. You are allowing other people and external factors to rule over your time. And that you are not in control of your schedules. Polepole reminds us that sometimes, at least once every week, it is important to sit down, step back and try to understand why you are doing what you are doing. Ask yourself: 1. In doing this, are you likely to experience joy? 2. Is this part of your agenda for the day or week? 3. Is this an opportunity to add value to your Life’s goals? and 4. Is it a part of the Vision you have for yourself? You need to be answering ‘yes’ to all 4 questions. And only if all answers are ‘yes’ should you allow that intrusion into your schedule. Else, you must award that activity, task, meeting, conversation a fresh slot in a forthcoming period of time __ maybe, next week or even next month! A lot of Life still happens unplanned. Say, a traffic jam, a heart attack, a sick child or a delayed flight. Obviously, you can’t control all of these events. But you can surely control what you allow on to your calendar, take on to your plate. And for that self-control to come in, make polepole your mantra. Slowly, slowly, journey through Life, enjoying each moment, each meeting, each drive, each meal. Bliss will follow!